WordPress Cape Cod is a meetup for WordPress users. The focus of our meetups is WordPress. Anyone who uses, works with or wants to learn more about WordPress is invited! Our meetup is free and to everyone. Agree to our Code of Conduct then join on our meetup page here. When we meet, we'll have food (usually pizza), time for networking, an opportunity to learn about a WordPress topic, and some Q&A. We meet on the 1st Tuesday of every month at CapeSpace in Hyannis. Our meetup schedule may occasionally change to account for holidays or scheduling conflicts at our venue. Enter through the main entrance of the building with the automatic glass doors. At the end of the hallway you'll find the CapeSpace door. 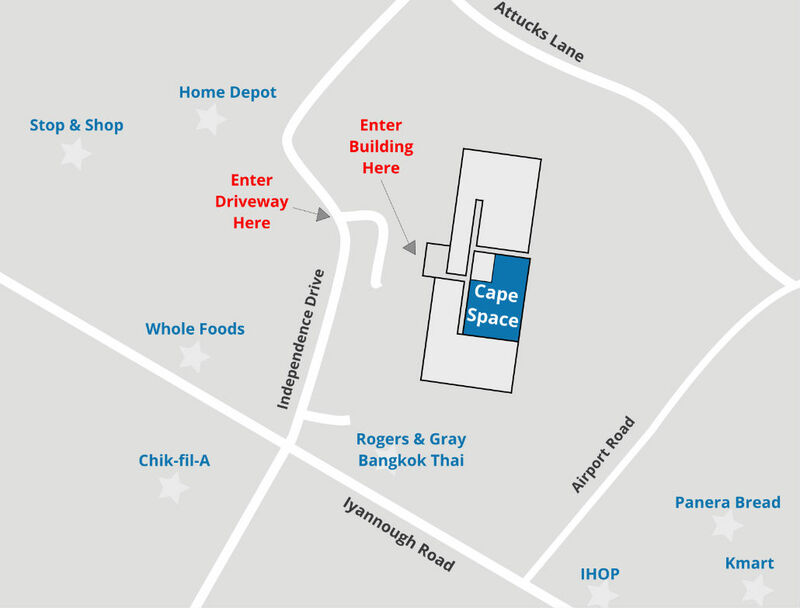 Our meetup room is directly to the right once you enter CapeSpace. Gabriel A. Mays: Find him on Facebook and LinkedIn. David Bell: Visit his company website at CapeWP. Jean Kourafas: Visit her company website at Basimos. Shane Skinner: Visit his company website at Devadigm. Have questions about WordPress Cape Cod? Get in touch below!